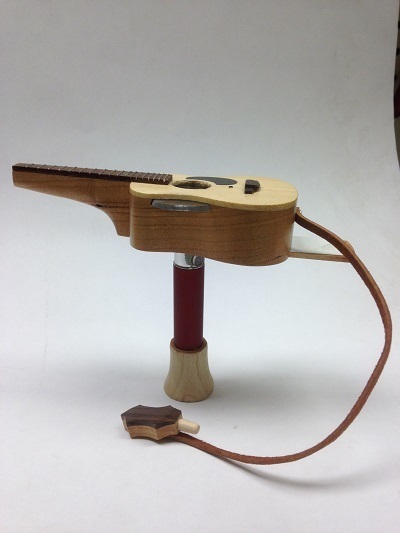 This new prototype Smoking Hot Guitar Vaporizor is still being developed. On the top there is a clear sliding cover that closes the smoking chamber during the vape process. There is a sliding back that can be used to shut down access to the coil and the pipe can be operated as a normal pipe with a lighter if needed We are working on trying to design an easily replacable coil that can accept any small vape pen battery. Currently you can easily screw the pen battery to the coil in the back with a standard adapter.